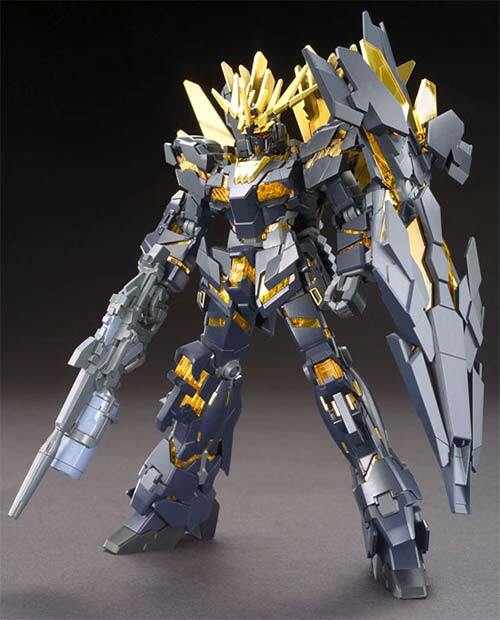 Released by Bandai is the 1/144 High Grade version of the Unicorn Gundam 02 Banshee Norn in Destroy Mode. 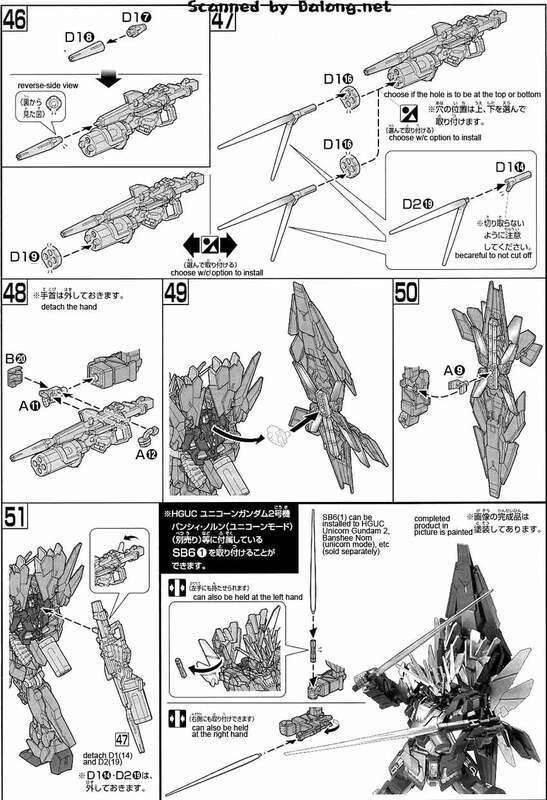 The Banshee Norn is piloted by Riddhe Marcenas as seen in the Gundam Unicorn OVA series. 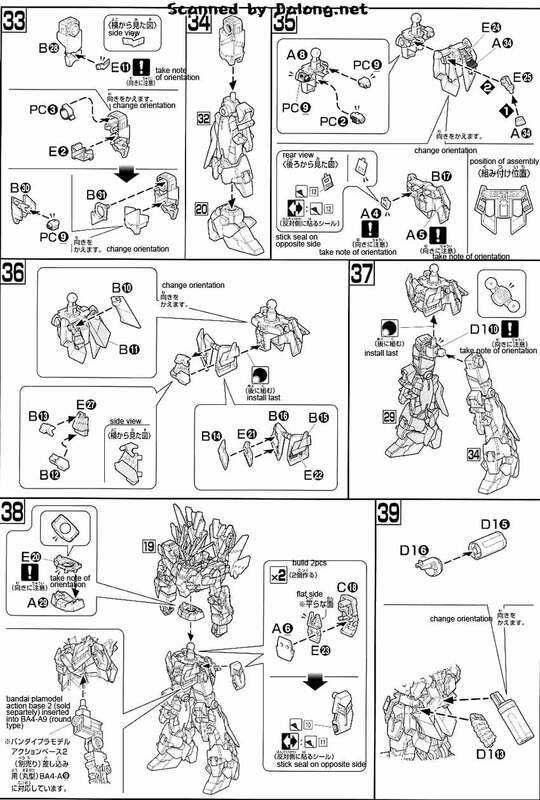 This model kit comes out in Destroy Mode, but there was also a Unicorn mode of this released last year. 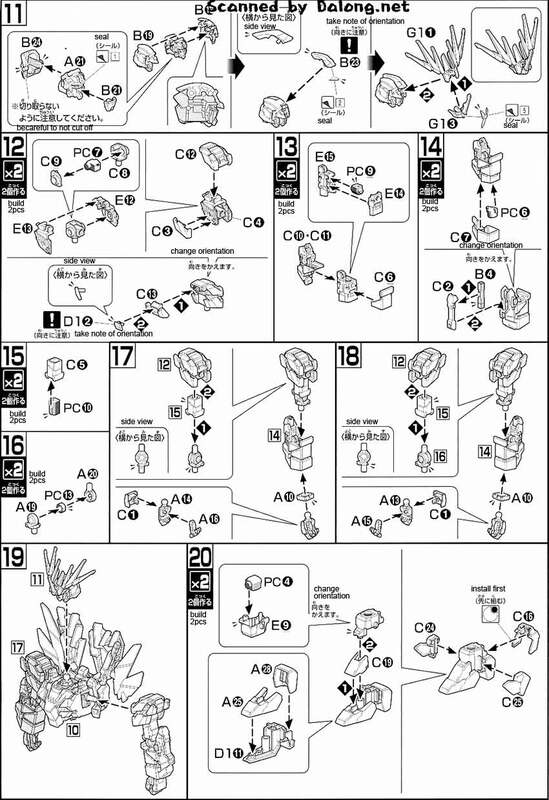 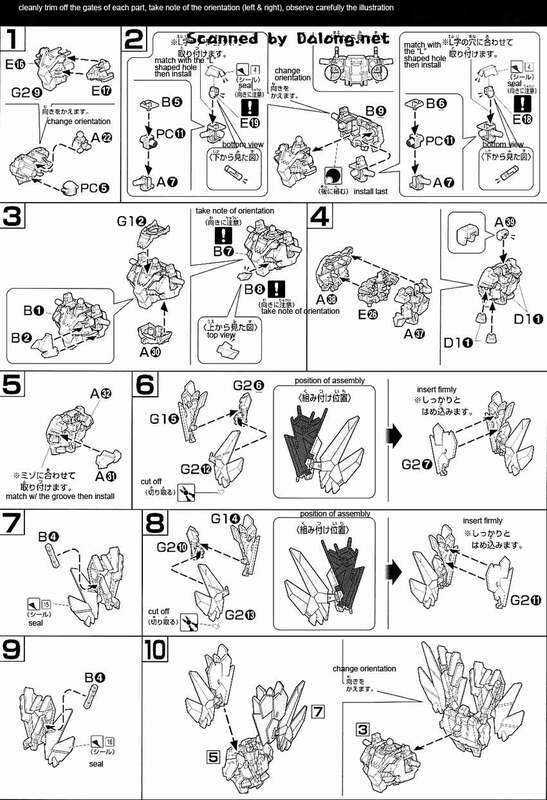 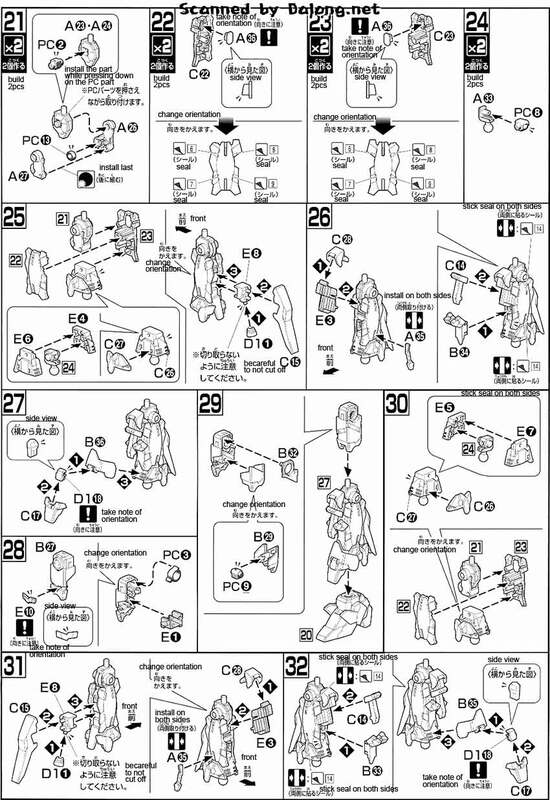 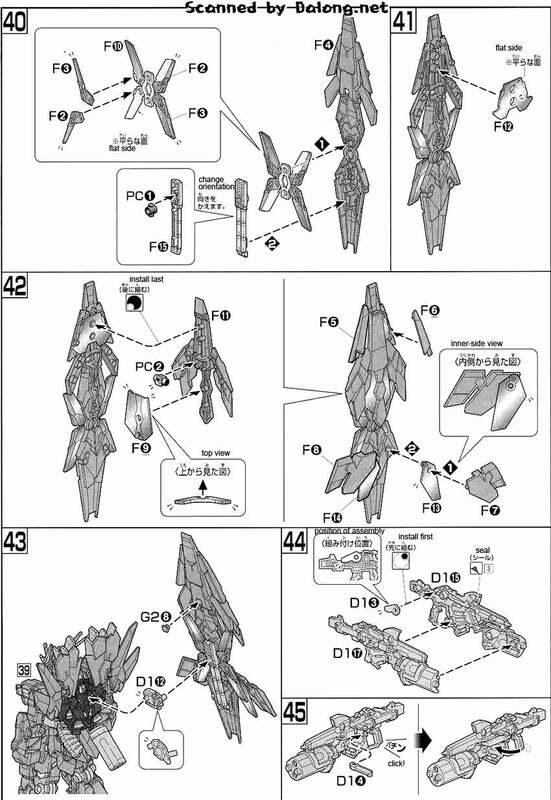 Construction Manual & Color Guide for the 1/144 HG Unicorn Gundam 02 Banshee Norn (Destroy Mode) was translated to English from the Japanese manual posted at Dalong's Gunpla & Model Kit Review site.